‘Aleksander‘, 2013 is a second film by Anka and Wilhelm Sasnal. The title Aleksander isn’t either Alexander The Great or the character from Bergman’s ‘Fanny and Alexander’. He is a simple man. Together with his wife Stefania he lives in Zielonka a little village in the South of Poland situated half way between Tarnow and Krakow, where Anka and Wilhelm currently live. They came across this village when they did a photoreconnaissance for their first film ‘It Looks Pretty From The Distance’, 2011. 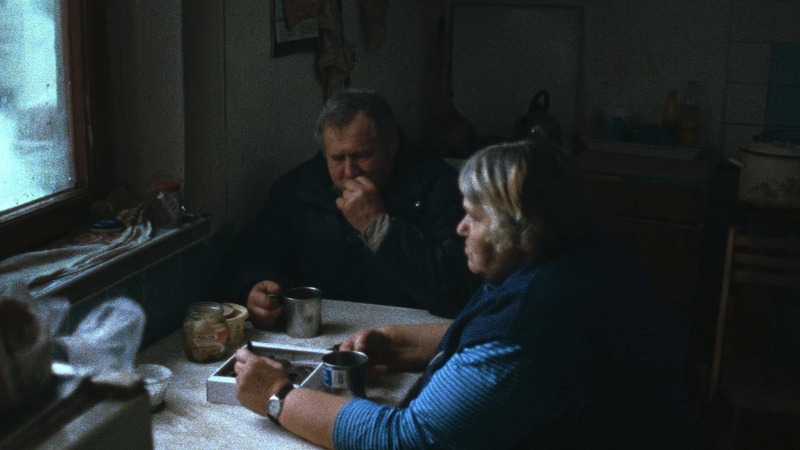 Aleksander and his family lead a very modest life filled with ordinary routines like collecting scrap, fixing a cart, fishing, building a greenhouse or meeting their grandson Michał and son Paweł. Anka Sasnal, a scriptwriter and director, describes Zielonka as a place ‘where people don’t have work even though they’re always busy with something, and nothing ever changes’. ‘Aleksander’ was screened at the Institute of Contemporary Arts in London as a part of Kinoteka 12th Polish Film Festival. It was followed by Q&A with Anka and Wilhelm Sasnal so the audience had an opportunity learn the story behind the scene and heard a few interesting observations including the one about the growing bond between the film’s authors and Aleksander’s family or how Anka and Wilhelm envy them the simple life where things are done in their own time with no pressure. For over two years more than twenty hours of footage was filmed. It was recorded on 16 mm film which provides a high quality images but the filming process is more intentional as Wilhelm Sasnal the director of photography noticed. Anka and Wilhelm decided to hand it over to a trustworthy film editor Beata Walentowska. She could freely decided which parts should be chosen from the whole footage as Anka and Wilhelm managed to lose their objectivity during the filming process. 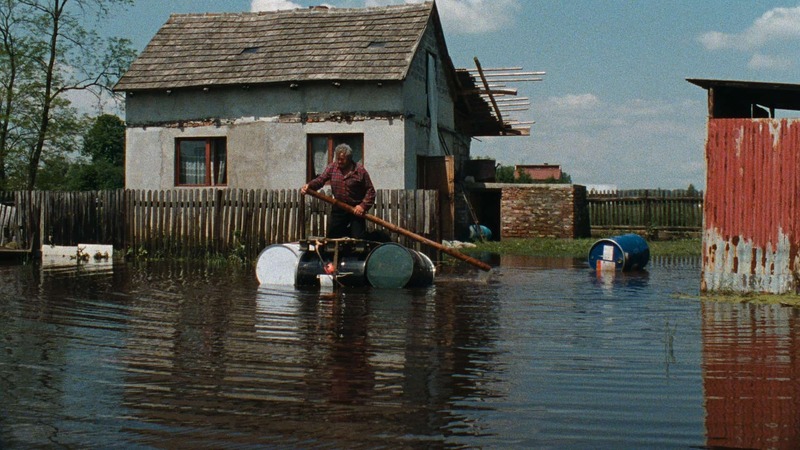 The film evokes traditional rural 19th century paintings by Józef Chełmoński or Maksymilian Gierymski with its romantic and sentimental vision of Polish village. My favourite scene is the one with them eating cookies. Aleksander and Stefania are sitting by the table covered with an oilcloth. They drinking tea from tin mugs and eating chocolate like round cookies. They both stay immersed in a deep thoughtlessness. Besides this, all film shots are filled with a very characteristic depiction from Wilhelm’s who is known for his paintings full of close-ups, attention to detail and deep sense of light. Anka and Wilhelm Sasnal mentioned as their film inspirations directors such as Bruno Dumont, Ulrich Seidl, Michael Haneke but also from earlier Andrzej Wajda, Jerzy Skolimowski or Tadusz Konwicki. 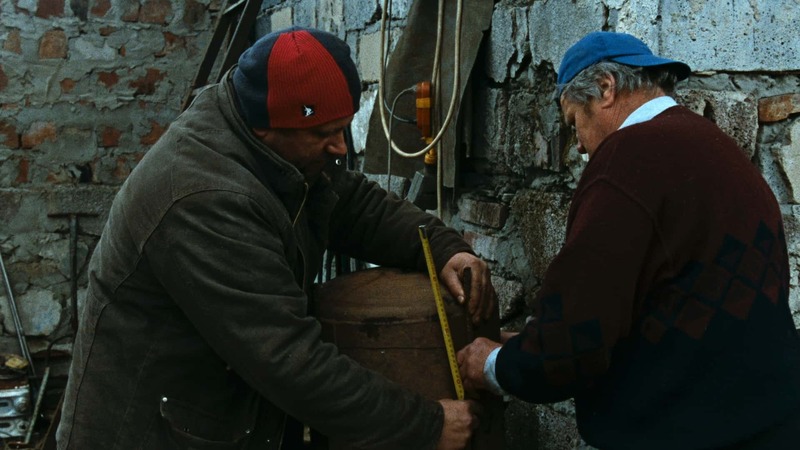 ‘Aleksander’ was planned to be a feature film telling a story about villagers from Zielonka but the filming process turned it into a half documentary and half fiction drama. The film has no proper soundtrack. Instead, music of daily life such as sounds of a saw, hens’ cackle, a shovel hitting the ground or squeal of a butchered pig can be heard. The production of ‘Aleksander’ was supported by the Anton Kern Gallery from New York. The screening was a part of ‘Kinoteka’ the 12th Polish Film Festival organised by the Polish Cultural Institute in London. Wilhelm Sasnal (b. 1972) is an acclaimed Polish painter and visual artist. His work has been exhibited in world-renowned museums such as the Centre Pompidou, the Tate Modern, the MoMA and the Guggenheim Museum. Anka Sasnal (b. 1973) is an editor, scriptwriter and director. She lives and works in Kraków, Poland. Monika Waraxa (b. 1977) is a visual artist based in London. She writes for Obieg. She runs blogs on art: Critic Police, Monika Waraxa Blog and on pop culture: Celebrities Clash. She is currently focused on an audience engagement activities developed in a multimedia project: The Interchange. She is co-founder of Orange Boat for an innovative art education. Keep up the great work! You already know, a lot of persons are hunting round for this info, you could help them greatly.